Pros: Powerful and intuitive features make for a joyful, flexible creative experience. Cons: The myriad of tools can be overwhelming at first, and the user forums are not well-supported. 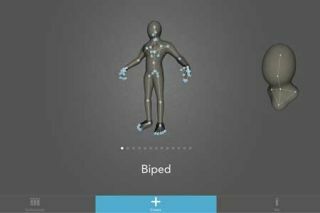 Bottom Line:Where other 3-D apps focus on hard-edge geometric shapes, this app successfully focuses on organic shapes better-suited to character design and sculpture.